Use your library card to access these library resources from any computer with an Internet connection. Need to get a library card? Forgot your card number or password? 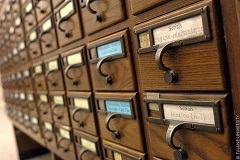 The best place to look for articles is in databases. Tips on how to use keywords and boolean operators for searching databases. Scholarly articles are usually written by experts for other experts and tend to be technical and contain professional language. General interest articles are written for the general public and are less technical. Looking for a specific magazine or journal? This search tells you which database to find it in. This tutorial will show you how to find articles on Ebsco's Academic Search Complete. It will also show you how to apply search limiters, cittation shortcuts, and save those articles through email. Comprehensive information on how to format your paper and create citations. Think critically! Remember, anyone can put anything on the Internet. If CGCC doesn't have the book or article you want, you can request it from another library. Tips on finding useful information.